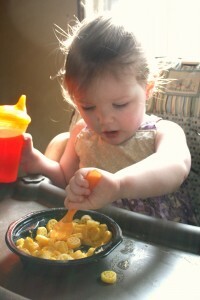 Raise your hand if you have a picky eater in the house! 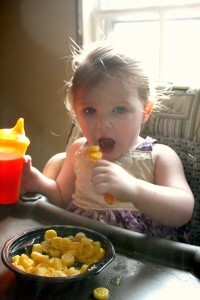 My two-year-old daughter is the pickiest eater you'll ever meet. Her diet generally consists of mac and cheese, chicken fingers, chop suey, and spaghetti. Yup, that's right. She eats basically ZERO veggies unless I successfully hide them in her food, and let's be honest, that just about never happens. 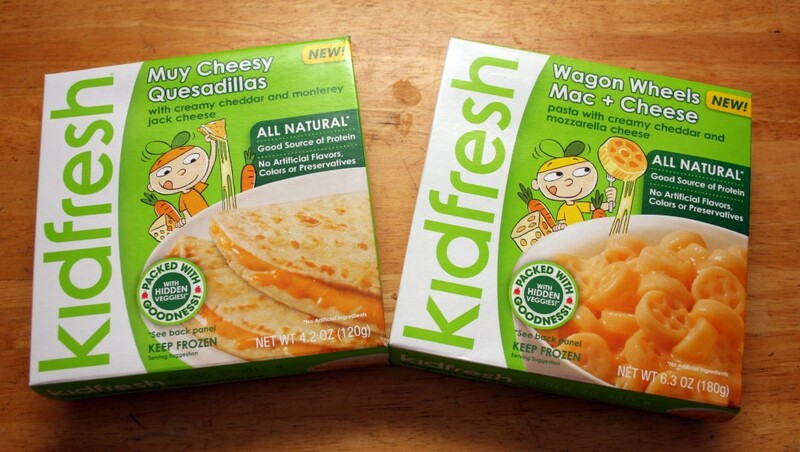 That's why I was super excited for the chance to try out KidFresh meals! What's so great about them? 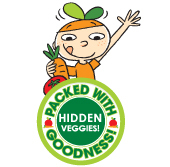 They are conveniently packaged, frozen, 100% natural meals for your kiddos with hidden vegetables! 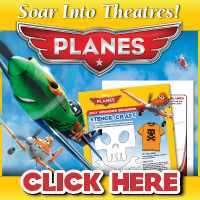 (No artificial coloring, flavors, or preservatives.) 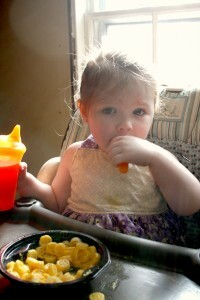 My daughter had no idea she was eating carrots in the meals that I picked out for her to try. This is absolutely amazing because I have never EVER convinced her to eat a carrot in her life. Usually trying to force her to eat her veggies causes a food fight, but this time it was a breeze. I first had to check to see if any of my local or semi-local supermarkets carried KidFresh meals. Thankfully a Shaws a few towns over did. So, I packed up the kiddos and made the trek over. Unfortunately the freezer only had two out of the six varieties of KidFresh meals, but it worked out because they were the two I figured she'd probably like the best. We grabbed the Wagon Wheel Macaroni and Cheese, and the Muy Cheesy Quesadillas. If you're like me, you buy frozen meals to have just in case no one feels like cooking one night. And you KNOW that the picture on the box really looks nothing like what you're actually going to get once you open it, and then cook it. But, we eat it anyway because we're hungry. The first thing I did when I got home was take the meals out of their boxes to really get a feel of what they are. I have to say seeing actual shredded cheese on the Wagon Wheel Mac and Cheese was rather impressive! I kind of expected only a cheese sauce, or just a big frozen mash of grossness. And the Quesadillas are pretty good sized. My two year old who eats constantly (when she feels like it) couldn't even finish both of them. Another thing I really liked was that these meals microwave very quickly, and you don't have to do the whole "tear off the cover over ___" and "poke holes on this side", "stir halfway through"... yadda yadda yadda. The instructions were very simple. For the varieties we picked you only had to pull back the plastic covering just a smidge, or place the food on a microwaveable dish. SO easy, and when you have 1,000 things going on a quick easy meal is great, especially one you know is healthy. Of course being the mooch that I am, I sneaked in a few bites myself. I have to say it was pretty darn good! It wasn't ridiculously salty like many frozen meals are, the cheese was good, and I could see why she was full before she was done. Definitely a thumbs up in my book. * 100% Natural. Nothing Artificial! 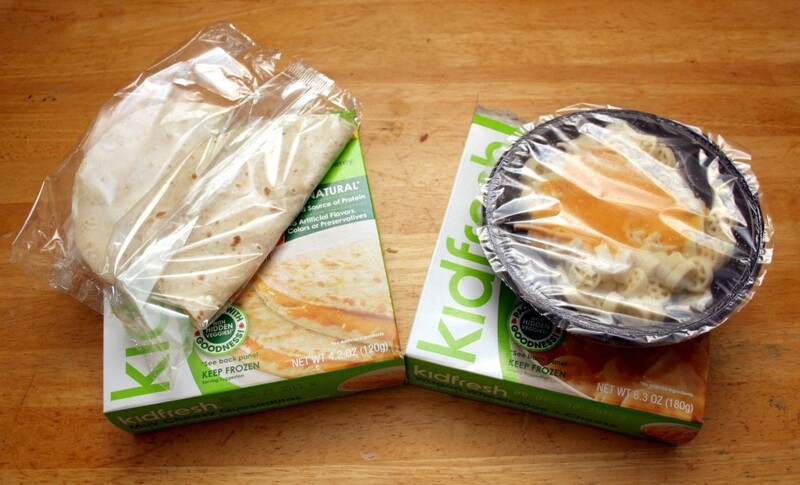 One lucky DealPeddler reader will have a chance to try out 2 KidFresh meals! Well, I mean I hope you'll give them to your kids, but I suppose you could eat them. First, I'm going to ask you to check and see if they are in a store near you, because if you can't get them, then it just seems a little silly if you enter the giveaway. 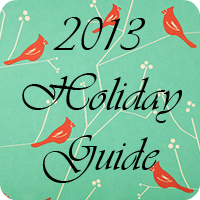 Just check out their store locator [HERE]. KidFresh would also love for you to find them on Facebook and Twitter! Crazy Dog T-Shirts – Product Review & Giveaway!